What does it really cost to sell a house? Unmasking the hidden fees. Home » Sacramento Real Estate Blog » House Selling Guides » What Does it Cost to Sell a House? What Does it Cost to Sell a House? “What does it cost to sell a house?” If you’re thinking of selling your home, and asking this question, this article is for you. In this article, we unmask the many fees incurred when selling your home the traditional way. 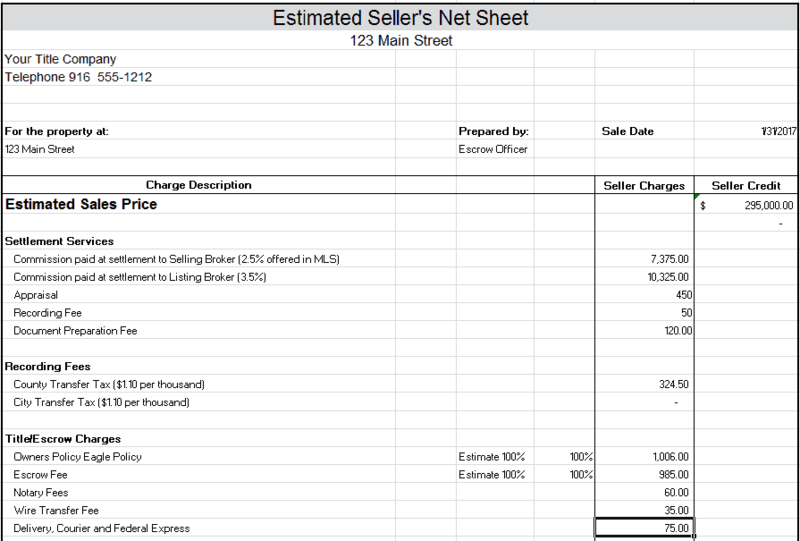 When you buy or sell a home, your escrow office will provide you with an Estimated Settlement Statement. This document will show both funds you will receive (credit) and funds you will owe (charges). These can be confusing if you have not seen them before. Everyone is familiar with Realtor® commissions. But did you know that commissions vary by region and type of property sold? Commissions for single family homes range from 5% to 6%. You can also negotiate the commission rate with many agents. So, if your home is worth $400,000, you can expect to pay between $20,000 and $24,000 in real estate commissions. Your agent will not receive the full commission you pay. Several parties split the commission from the sale of your property. The seller’s agent will specify how the commission is split up between them and the buyer’s agent. The seller’s agent will often split the commission 60/40. Sixty percent will go to the seller’s agent. The remaining 40% goes to the agent who brings you a buyer. A prospective buyer’s agent can find their commission in the Multiple Listing Service. You should always ask your agent how the commission will be split. A buyer’s agent may completely ignore your listing if your commission is too low. We said that the commissions go to the agents. In reality, the commissions go to the agents’ brokers, who then take a portion of the fee. This can be a flat dollar amount, say $1,000 or a percentage and varies from real estate broker to broker and agent to agent. The agent’s broker will deduct office and insurance fees from the agent’s commission. Finally, the agent will receive the remaining amount from their total commission. You can of course, try to sell your home on your own called a FSBO (For Sale By Owner) and save on commissions. Whether you sell on your own or through a Realtor® you will still have several other costs to selling your house. When you sell your home you will want to use a reputable escrow company. The escrow company is a kind of insurance to make sure no one runs away with the money. These companies hold all funds in an escrow account. Escrow companies make sure everyone gets paid. Mortgages, loans, agents, inspectors, liens and the seller all get paid by the escrow company. If your buyer is getting a loan to buy your home, their lender will give the money to the escrow company. After paying everyone else, you will receive any remaining funds. 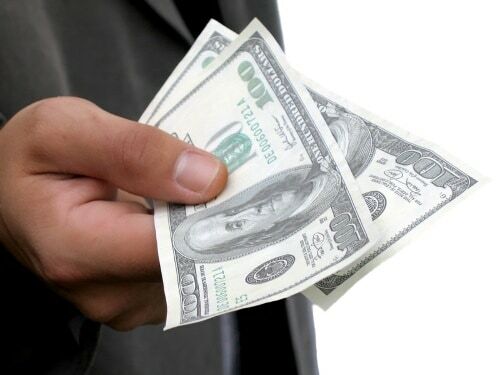 If your buyer is getting a loan to buy your home, their lender will give the money to the escrow company. Once everyone else is paid, you will receive any remaining funds. Of course, escrow companies charge for this. Typically their fees are around .025% to .05% of the sale’s prices and the percentage decreases as the sales price goes up. For our example of a $400,000 house an escrow company will charge you in the vicinity of $1,000 for their services. Title insurance is an important part of every real estate transfer. It guarantees that the buyer is getting the property without anyone else having a claim to the property. Buyer’s don’t want to buy a property only to find a long lost brother has an ownership claim on the property. Depending upon the region you’re in, this may be provided by a title company or an attorney. In some cases, the title company and escrow company may be one and the same. Your agent will typically have a title company or attorney that they work with regularly. Once you have a signed contract, your agent will forward the contract to the title to open your escrow account. The next set of costs to sell your house are inspections and potential buyer requests for repairs. The seller and buyer negotiate who will pay for each of these inspections upfront in their purchase agreement. Depending upon where you live, there can be “standard practices” as to who pays for what. However, that doesn’t mean you have to follow the “standard practices” in your area. You can always negotiate who will pay for the various inspections. Every seller dreads the home inspection. 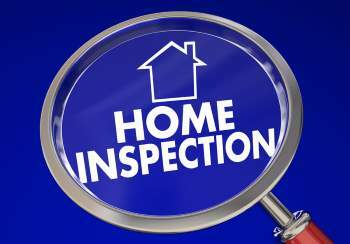 In a home inspection, an inspector systematically goes through your home checking for hazards and to make sure everything works properly. You should keep in mind that home inspectors are not required to be contractors. In California home inspectors are not required to be licensed so you want to make sure and check their qualifications. The inspector will walk around your home, crawl in your attic and take pictures of everything they see as a potential problem. Their job is to let the buyer know everything there is to know, both positive and negative about your home. The buyer then receives a long report with all of the inspector’s findings. Often these reports are typically 20 to 30 pages long. The typical cost for a home inspection is around $500. However, if your buyer sees anything in the report that bothers them or their agent, they can ask you as the seller to have those items corrected prior to proceeding with the sale. These repairs can range from a few hundred dollars to thousands of dollars depending upon the request and problems found. Pest inspections, as the name implies, look for unwanted pests that might damage or have damaged your home. There are three branches of pest inspection in California. The most common, a Branch 1 inspection, looks for evidence of wood destroying pests such as termites and water damage. The inspector will poke and prod looking for soft wood around the exterior of your house, under sinks and under your house. This inspection is around $150. Your pest inspection report will be broken down into Section 1 and Section 2 items. Section 1 items will be required to be repaired by most buyers’ lenders prior to the close of escrow. This will include dry rot, leaking faucets and drains, and termites and will all need fixed. Termite treatment can range from $1,500 to a several thousand dollars depending upon the type of treatment needed. Dry rot is very prevalent in parts of California where homes have decks and in homes that have not been regularly maintained. Most buyers will ask for the above inspections as a condition of their contract . However, there may be additional inspections that their agent will encourage them to make. This report identifies man made and natural hazards in and around your property. It can include hazardous ground water, active or former ammunition dumps, naturally occurring hazards such as asbestos or radon, former mines, etc. This can be an important report for buyers to let them know about potential hazards. You don’t want your suddenly fall into a sink hole because of underground mines or caverns you cannot see. The fee for this report is usually around $90 but can vary with the company. For a roof inspection, a licensed roofer will inspect your roof to look for possible weaknesses or potential leaks. The roof inspection itself will cost you around $150. If the roof is in good condition, you can purchase a certificate from the inspector where they will guarantee your roof not to leak for 2 or 3 years for around $300. If the roof leaks anytime during the time of the certificate, they will come out repair the roof to stop the leak. However, if the roof fails, the inspection, then you will probably have to replace your roof which can be tens of thousands of dollars. If you have a fireplace or wood burning stove, your buyers may also request a chimney inspection. Again, as the name implies, this inspection will verify that your chimney does not have any cracks or obstructions that could be a fire hazard. 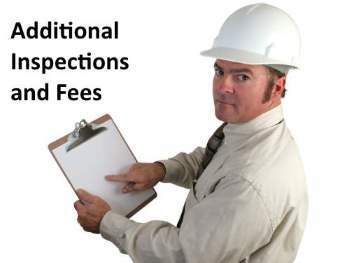 The typical fee for a chimney inspection is less than $200. After your buyer performs their inspections, they may ask you to make repairs. They may also ask you to reduce your price because of needed repairs. If you agree to make the repairs, they should be completed before the close of escrow. You do not have to agree to the requests, but then you risk losing your buyer. Don’t expect to sell your home without your local government wanting a chunk of your proceeds. In California, you can expect to pay approximately $1.10 for every $1,000 in transfer taxes to both your local city and county. For example, for our $400,000 house, you can expect to pay $440 to both the city and county where the house is located. Most real estate agents will encourage their buyers to ask for a home warranty. The home warranty can vary from $450 to $550 and provide a warranty for various features of the home. Depending upon the level of the home warranty, this warranty can cover HVAC system, appliances, hot water heater, plumbing, and even some permit issues. The more expensive the warranties cover more items so your buyer’s will usually request the more expensive warranty. There are special documents that require filing in your local county office. One of these documents will show that you no longer owe any money for your mortgage. Oh yeah! Another document show that you are transferring ownership to your buyer. Before recording, these documents must be notarized. Usually your title company or attorney will provide the notary for signing documents. Of course there is a fee. As of 2018, this fee is set by statute in California at $15 per signature that needs to notarization. You can expect two to three documents that require a notary..
You will also be charged by your county government for every document that needs to be recorded in the public records. This includes releasing any previous loans you may have had against the property and the deed transferring the property to your buyer. Each of these will cost you approximately $50 per document to record. Every homeowner pays property taxes. You may have thought that when you sold your house you wouldn’t have to pay property taxes on it anymore. Well, that is only partially true. Escrow will prorate your property taxes based on how many days into the tax year you have owned your house. Your buyer will have to pay the prorated property taxes for the portion of the year that they will own the house. The amount you will have to pay in property taxes at the close of escrow will depend upon where you are in your tax billing cycle. In California, your property taxes are protected from dramatic increases by Proposition 13 since 1978. Since then, property taxes have been based on your purchase price with a minor allowance for annual increases. However, when your home sells your property taxes are re evaluated based on the latest sale price. This means if you bought your home years ago for $200,000 and are selling it for $400,000 the county will send you a bill for the difference it makes in your property taxes for the current year. This bill typically comes several months after closing and catches most sellers by complete surprise. Fortunately, this is allowed only for the current tax year. If you have the proceeds of your sale sent directly to your bank via wiring, expect to have to pay your bank a wiring fee of $35. Some loans have an early payoff fee. This is a fee your lender charges for paying off your loan early. If your existing mortgage has an early pay off clause, you will need to pay your lender this fee. In California, early payoff fees are limited to the the first two years of a loan. If your loan is more than two years old, you should not have to pay this. Years ago I refinanced a loan that had a loan prepayment clause that required me to pay additional fees if I paid my loan off early. The title office mistakenly charged me a prepayment fee. After the close of escrow, I reviewed my settlement statement. I saw that the escrow company and charged me this fee even though the loan was more than two years old. I quickly called the title company and they promptly took responsibility and reimbursed me the fee to me. This just shows how important it is to read your Estimated Settlement Statement. And to use a reputable title company. If you are selling an entry level home or your buyer is a first time home buyer, they may request financial assistance with their closing costs. They may increase their offer price to compensate you, but they don’t have to. If they cannot qualify for a higher loan amount they will simply ask for a buyer credit toward their closing costs without increasing the purchase price. A buyer’s credit can be as much as 3% of the purchase price of your home and is common with FHA and VA loans. So, for our example house of $400,000 sales price, this could amount to as much as $12,000 in expenses for buyer’s closing credit. Of course, you can negotiate this amount or choose not to give a buyer’s credit. However, if your home is an entry level home or difficult to sell, you may find it beneficial to agree to give a buyer’s credit. Lastly, if you have any outstanding bills or liens against your property? Loans and liens are from your escrow funds as well. Have an unpaid hospital bill? Unpaid hospital bills are also paid out of your proceeds. Have a lien from a contractor or city code enforcement? All liens and city code violations fees are paid from the proceeds of your sale. If you have read this far, you are obviously concerned about how much it will cost to sell your house. One of the key differences between selling to cash buyers and your traditional sales process is who pays what fees. Most cash buyers provide a net cash offer. With a net cash offer, the price you see in your contract, is the amount you get. No hidden fees or surprises. This means, they pay for any repairs, inspections, and normal escrow and title costs. If you aren’t sure what they will or won’t pay for you should always ask. Cash buyers expect to make repairs and buy houses as-is. Do you owe back property taxes, have liens or other non typical items? Cash buyers may also pay these fees if you ask. Are you comparing a traditional purchase offer from a real estate agent with an all-cash from an investor? Be sure to compare the net amount you would receive selling through a Realtor® versus a net cash offer from an all cash buyer. It’s not always the case, but sometimes a cash buyer makes more sense than paying all of the fees when selling your house through the traditional model. Cash for your House - Are House Buying Companies a Scam?